Most adult who become infected with hepatitis B do not require any specific treatment as they usually recover completely within a few weeks or months. On very rare occassions, hospital admission for acute hepatitis may be neccessary, and in a very small minority, anti-viral treatment may be indicated. 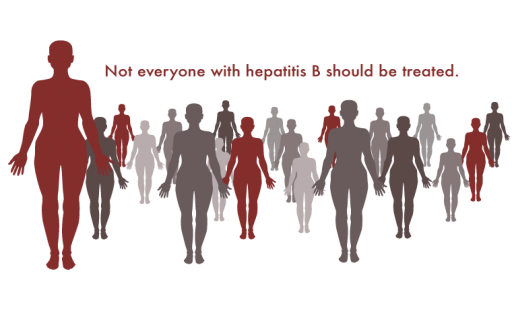 No treatment can prevent acute hepatitis B from becoming chronic. To be confident that the infection has resolved, you should be re-tested six months after the initial positive test. This drug is similar to a substance produced in your body which is also called interferon. It works to fight infections by boosting your immune system. Interferon is usually given as an injection each week for 48 weeks. These work by stopping the hepatitis B virus from multiplying in the body.Your consultant will discuss these in more detail with you as the drug used can vary between people. A combination of antiviral drugs is sometimes used. Drug treatment is usually continued for many years. The treatment of hepatitis B is a developing area of medicine. New treatments continue to be developed and the information above is very general. The Consultant Hepatologist who knows your case can give more accurate information about the outlook for your particular situation. In Northern Ireland all pregnant women are offered Hepatitis B testing when attending antenatal services. If this test confirms Hepatitis B infection, the individual will be offered an appoitment with a liver specialist to determine whether any specific actions are needed. All children born to Hepatitis B positive mothers will receive Hepatitis B vaccination during their first year. If you are a woman and want to have children now, or in the near future, talk to your healthcare provider about pregnancy with Hepatitis B, and possible treatment.